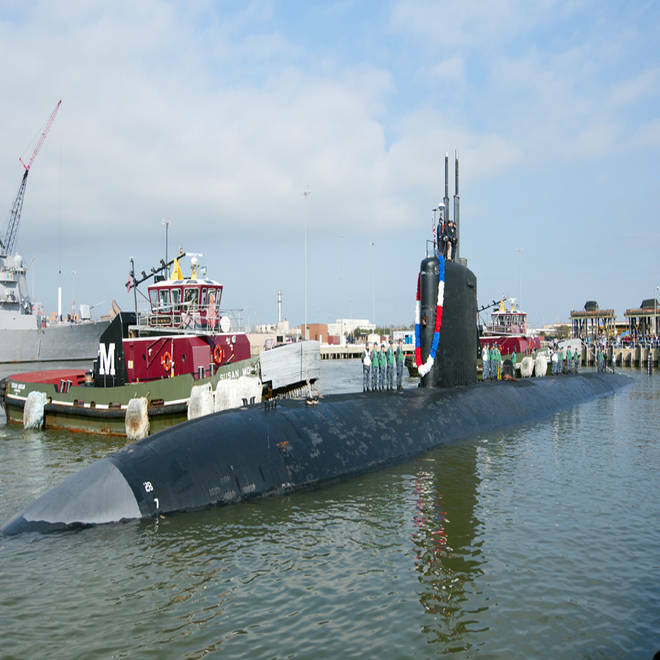 The Los Angeles-class fast attack submarine USS Montpelier (SSN 765) returns to Naval Station Norfolk recently after a routine six-month deployment. Updated at 9:24 a.m. ET: A U.S. Navy nuclear submarine and an Aegis cruiser collided during routine training off the U.S. East Coast on Saturday afternoon. 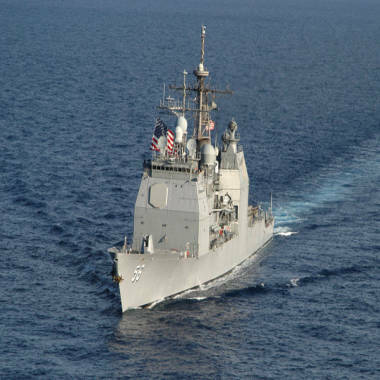 No one aboard either the USS Montpelier or the USS San Jacinto was injured, Pentagon officials told NBC News. Both vessels continued to operate under their own power. The Montpelier is a nuclear-powered Los Angeles-class fast attack sub launched in 1991. The San Jacinto is an Aegis-class missile cruiser commissioned in 1988. "We have had circumstances where Navy vessels have collided at sea in the past, but they're fairly rare as to how often they do take place," Lt. Cmdr. Brian Badura of the Fleet Forces Command told The Associated Press. "If we do have an incident that does take place, there are folks that swing into action ... to help us make a better, more conclusive explanation of exactly what happened," Badura added. The Navy said in a news release that "overall damage to both ships is being evaluated," and that the sub's propulsion plant was "unaffected by the collision."